"Let's get the party started"
Das Lido is a lively club in trendy Kreuzberg. I was interested to find that the English description on the club's website differs markedly from the German. Whereas Germans are given a detailed history of the many uses which to this building has been put, we English-speakers are given a simple instruction: "Come over here and let's get the party started!" 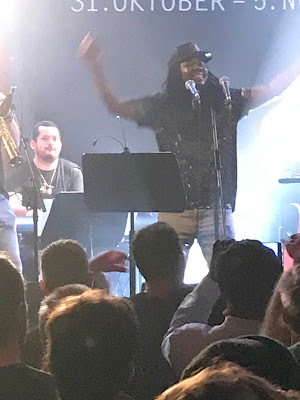 Somebody must have told Senegalese singer Gaston Bandimic, because in the latter stages of last night's gig, that's exactly what he did. And it was a joy to witness. 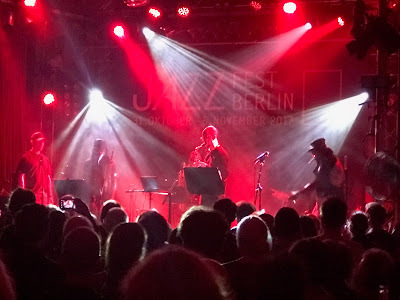 For his Sélébéyone project, (see here for what it means), Steve Lehman has surrounded himself with a hip hop artist, a Wolof singer, another saxophonist, a keyboard/drums/trio including one of the over-lords of the acoustic bass Drew Gress, and a panoply of electronics and synthesized sounds. As a thoughtful musician, the range of approaches and textures and stylistic starting places with this line up is more or less limitless. 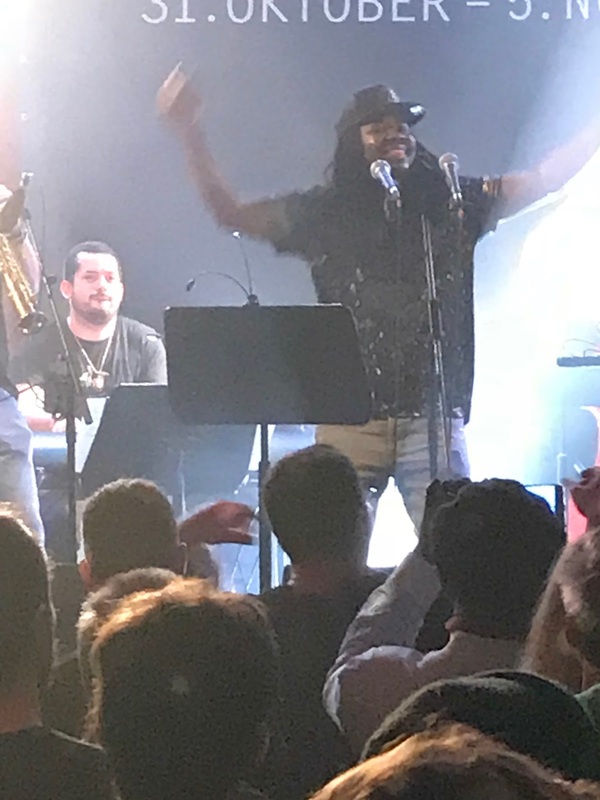 They do full-on broken-beat, multi-metre complexity, they do electronic eerie, they do two-voice hip hop, they provide a jumping off point for soloing. So far, so overwhelmingly impressive. But as the set built to its climax, Bandimic took the lead. His charisma, his bonhomie, his audience-craft completely brought the audience in. I shall remember this as a gig where you thought you had already heard it all, but above all for Bandimic's transformative "you-mean-there's-actually-more!" moment.